Online Thesis Proposal Editing Services. A thesis proposal is the first document that your thesis review committee will see and determine if you have a viable research project. It is essential that you present a proposal that convinces the members to allow your research. Academic Writers Bureau offers thesis proposal editing services to help you to impress the review committee by editing your thesis to remove mistakes and improve presentation to the standard that professors want to see. Our editorial team will offer personalized editing. We assure you that we will meet your requirements. We will check the entire document meticulously to correct the grammatical and logical errors. We assess and improve each aspect of your paper from the title to abstract beginning. Our editors ensure that the title is clear and precise. We will also improve the language you use in the content to make it compelling and convincing as possible. We improve the language alongside the structure to make it synchronize with the issues that you intend to convey. Academicwritersbureau.com editing team is made up of individuals with vast knowledge in academic research, writing, and editing. We ascertain that the study design you proposed is entirely applicable. We help you to communicate research intentions more easily by including a brief summary of methods you intend to use for data collection and analysis. Our editors also ascertain and improve the relevance of your references. We will eliminate any invalid or irrelevant data that reduces the sharpness of your proposal. AWB has a healthy blend of Ph.D. editors from various academic fields. 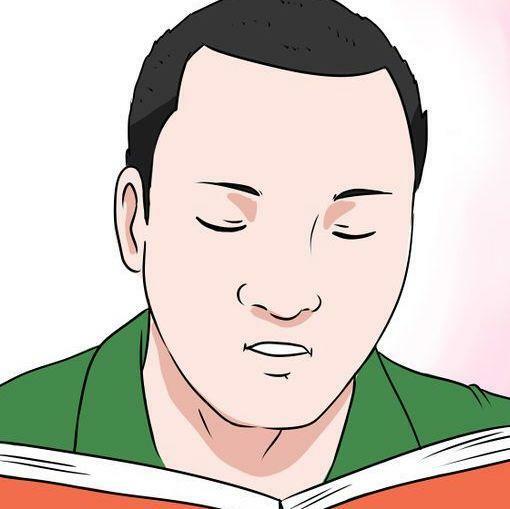 You will get an editor who specializes in the subject of your research. Our editors have gone through specialized training to help them understand different aspects of the editing research proposal. The editors have a full commitment to providing editing solutions for thesis papers on various subjects. Whatever your deadline, they will edit your document in briskly to help you submit your thesis proposal on time. Your editor will improve grammar, clarity, diction, organization, and development of ideas. After the editing, the editor will provide suggestions for general improvement. Academic Writer Bureau has capable editors recruited after a thorough vetting. We know that they have a capacity to thesis proposal and even thesis papers of any kind or length. Accuracy is our guiding principle. We ascertain that the after editing, your work will not have any deficiency from the language to format. We facilitate interaction with your editor for you to discuss your requirements and follow up the editing process. Your editor takes this time to inform you about citation grammar and formatting mistakes as well as how to avoid them. Our review editor will go through your thesis proposal after editing to ensure that it meets your requirements. Our thesis proposal editing help includes free revision for anyone who is not satisfied with the quality of editing. 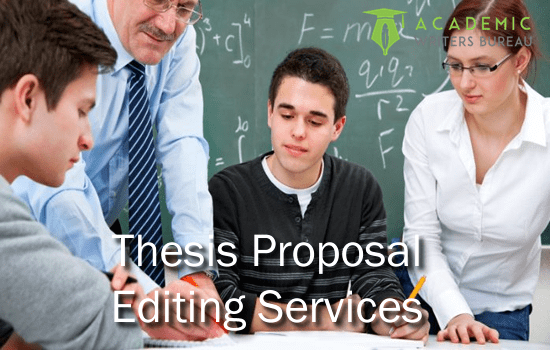 Are you in Need of Custom Editing Services on Your Thesis Proposal Document? We are your right partners for the task. Our delegated team is intellectual and fulfilling to your expectation. Set us for the job for super amazing results. Is there a guarantee that your editing will improve my proposal? Yes. We edit every area of your proposal from grammar, the organization to references to leave it in a better state than the earlier version. How will my edited proposal look? We send a track changes version of your file for you to see the changes and suggestions by your editor for overall improvement. How soon will you complete editing? Our turnaround is between 24 hours to 10 days. You choose your deadline when placing an order. What happens if your editing does not satisfy me? You will send the document back to use with comments for your editor to read and perform a second round editing. What is the cost of editing a thesis proposal? We charge fair rate depending on the academic level, turnaround and word count of your document. You pay through PayPal, credit or debit card. I submitted my thesis proposal for editing and got a concise and straight to the point format that convinced my committee about the validity of my work. AWB editing and guidance enabled me to get the support of my thesis review committee for my proposed research. Once I complete my thesis, I will seek their editing help. I recommend AWB to students preparing for research projects. I ordered for thesis proposal editing and got a document with many improvements that helped me to win the acceptance of my supervisor and research committee.